Canadian psych-rock outfit The Velveteins just released a groovy new track produced by Cage the Elephant’s Lincoln Parish. “Hanging From the Ceiling” combines psychedelic surf-pop vocals with a retro, middle school slow-dance in the 50s vibe. 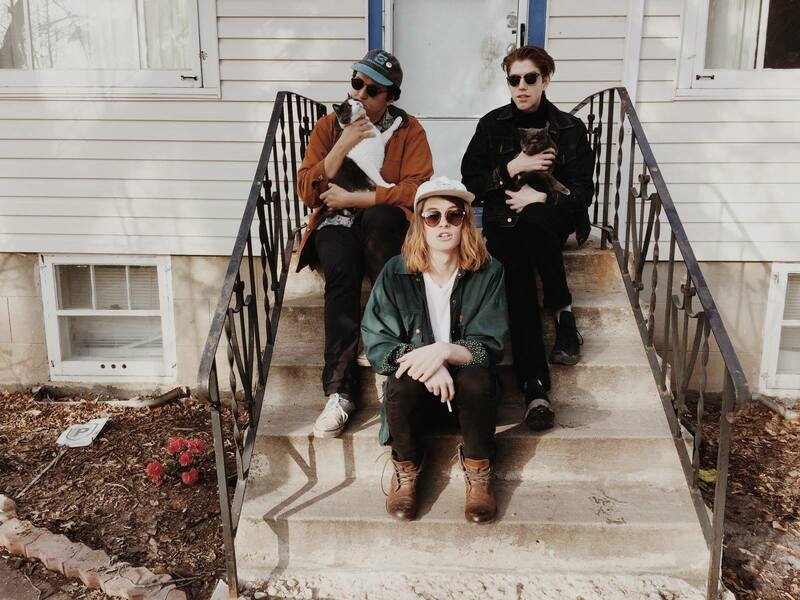 The Velveteins‘ upcoming EP, A Hot Second With the Velveteins, will be out soon. “Hanging” was one of the first songs we wrote collaboratively. Spencer [Morphy] was working with this cool 3/4 groove when I heard the sideways breakdown section. We ended up with this sort of psychedelic doo-wop number about things turning upside down.